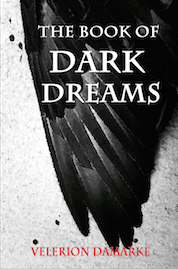 This collection of 6 short stories has some recurring themes of possession and encounters with dark entities. They range from dark fantasy to mild erotica to science fiction. Each of them was inspired by a dream or daydream that I had. This is a dark fantasy/horror story about a man who falls for the wrong type of girl at a bar... This was the first story I ever completed. Many times I'd started writing epic fantasy, but I got lost in the whole attempt and gave up. this one marked a turning point, because I actually saw the story through from beginning to end. It led to the writing of a few short stories, included It Started with a Letter, which is now available in print! This was one of the first stories I ever wrote. It's a short story about a father taking revenge upon a noble for the man's mistreatment of his daughter. Wanderlust is about a man who loses his body to an almost immortal creature that steals bodies. He's able to take control of his body for short periods of time when his 'captor' is sleeping. This is something I felt strongly compelled to write one night. It's based on a dream I had that kept my heart pounding all day. It's also one of the few things I've ever done in first person. It's about a man who picks up a Stranger that walks along the road and listens to his story. There's more to his story than he expects. This is another story I made from a dream. It was an odd dream, but very vivid. I couldn't resist writing it. It's a story about a guy who wakes up from deep sleep on an interstellar colonization mission. He's greeted by the other crew, including a girl he signed up for the mission with. Despite promising to be with her, things just aren't quite right. Something different seems planned for him.